Bohemian Outfits for Men. Bohemian outfits are the mix of old and new pieces of fashion and putting them together to create the absolute lit look! Be it guys or girls, both of the love bohemian outfits, as they look effortless yet give you the absolute trendy look. The best part about bohemian outfits is that it can be easily composed together and will give you a completely different and unique look. 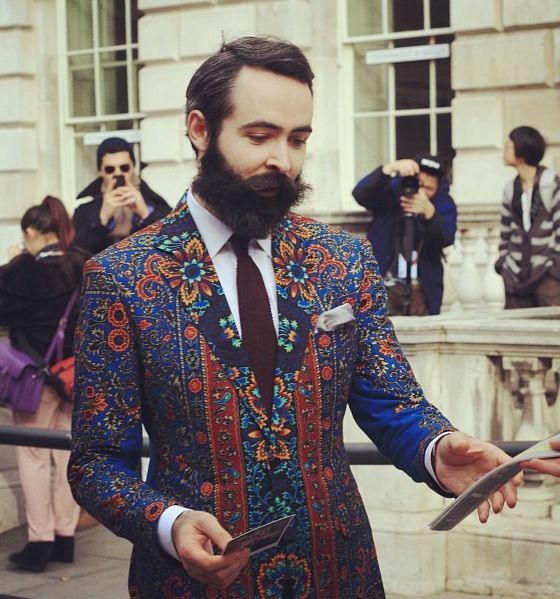 Men usually are unsure what pieces of clothes to put together to achieve the perfect bohemian look. Well if you’re worried then its time to put those worries to an end because we have 17 unique bohemian styles to make you look fabulous this season! Keep the styles loose, lightweight and unstructured. Make sure you look relaxed and expressive with vintage and artisanal details. Always add a little pattern. Make sure that accessories are a must. Keep your hair stylishly messy. Men with medium toned bodies can really opt for rustic style. This means wearing khaki pants with a triple layer of shirt and with a waistcoat and a jacket. However, you must ensure that the shirt must be worn with different colored waistcoat and a complimenting color of the jacket. You can let your hair be loose or tied in a loose man bun to compliment the whole look. Don’t want to wear many pieces of clothing? Still, want to look bohemian and all casual, well here is an easy tip for all the men out there. Wear a fancy and different textured shirt which will compliment with your event as well as give you the right bohemian look that can be carried to the beach or a casual BBQ lunch with friends. Sometimes you don’t want to opt for crazy colours, for such days the best thing to do is opt for the basic colors yet style them in a way that they can give you the best bohemian style. A ripped denim, with a white vest, a gray scarf, and black jacket will give you the right style to carry. But if you want something truly bohemian, go for funky boho harem pants, perfect for a beach day! For the guys in their 20s or 30s, it is essential that they change their looks, they are also willing to experiment and choose the style which will suit them best. For such experimental souls, we suggest why not go for an arm tattoo. You can combine it with your rugged bohemian style and shoulder length hair. This is an easy way to carry yourself without getting in the hassle of thinking how to carry different sort of dresses. Most men are reluctant to go in formal especially in Bohemian outfits. Most of the men are confused what to put together so the outfit looks formal yet bohemian in fashion. An easy solution for this is to pick your favourite black skinnies with a tee shirt and leather jacket. Add a hat and a complimenting colored scarf and here it is your perfect bohemian and formal look! 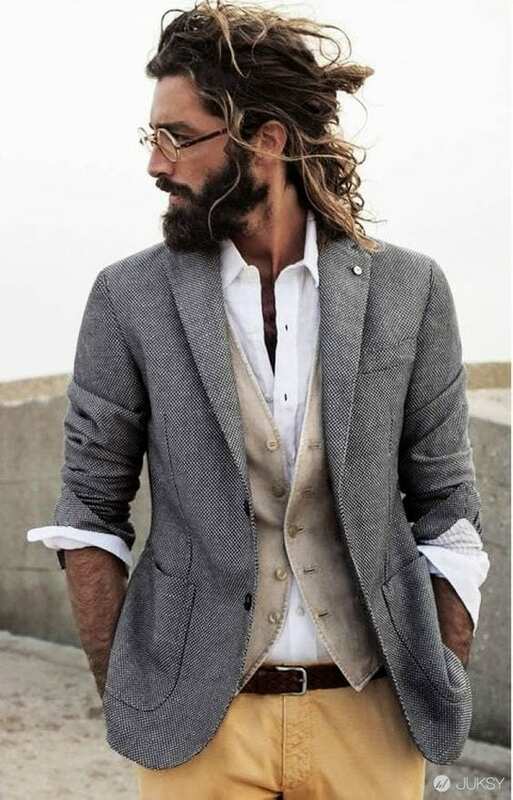 The bohemian gentleman look can be very easily achieved. All you need is a casual button down shirt combined with a jacket and scarf. This look is very intimidating and gives you the ultimate gentleman look. The easiest trick to add the bohemian flair into your persona is to carry an abstract printed scarf with any sort of dress that you plan to wear. This trick works wonder on all occasions and at all times and gives you the radiant bohemian look!